With the blessings of Her Holiness Satguru Mata Savinder Hardev Singh Ji Maharaj, the Sant Nirankari Charitable Foundation (SNCF) on 1st July 2018 participated with 3000 Sant Nirankari Charitable Foundation volunteers, Sewadal men and women and other devotees of Sant Nirankari Mission in Times of India Green Drive to plant 70000 trees on Dhar Road, Machhal, Indore in one day. Her Holiness Satguru Mata Savinder Hardev Singh Ji Maharaj has advised the followers on plantation to sow the seeds of goodness in society and plant trees for the wellness of humanity. 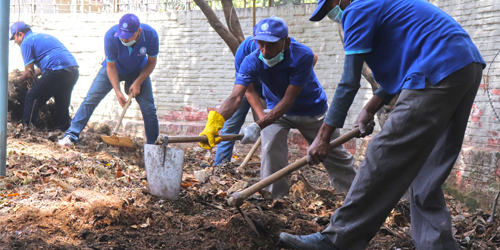 The volunteers came from Indore zone branches of Sant Nirankari Mission. 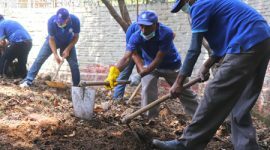 It was the fourth time that the foundation cooperated with Times of India as their biggest partner in Green Drive since 2015. The Volunteers assembled at 7.30 am and after prayers, they planted 15000 saplings. The rain in the earlier days made the task all the more easier. 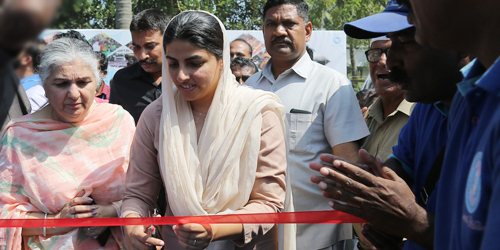 Some other organizations including Madhya Pradesh Police Training College were also present. In all 70000 saplings were planted. 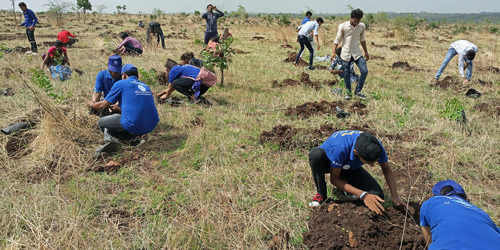 The Sant Nirankari Mission started organizing Tree Plantation Drives throughout the country from 2003 as a part of Baba Hardev Singh Ji‘s Birthday on February 23rd every year. Baba Ji declared that pollution whether inside or outside is harmful. So it must be removed from the mind within and from the environment outside as well. 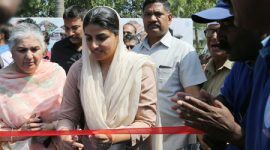 No wonder, the youth, male and female came forward with great fervor to participate in the campaigns. In this campaign variety of species were planted. Scores of forest guards besides the locals were present. Immediately after the plantation, the volunteers cleaned the entire stretch by picking used bottles, plastic packets etc. On the occasion of this plantation Shri Vijay Sethi of Hero Motor Corp, Shri Purushottam Dhiman of Forest Department besides many environmentalists, industrialists and other VIP’s were present. SNCF hosted lunch to all the guests.